The seemingly endless gardens behind the castle. 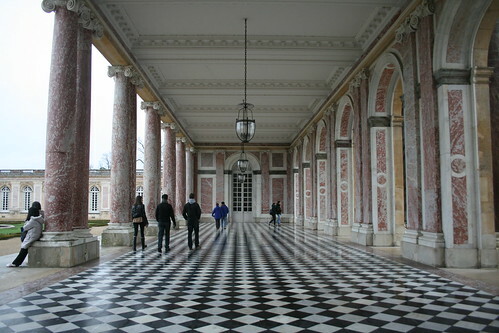 Visiting Versailles effectively did to palaces what the Vatican did to churches; it ruined the rest of them. In my mind no royal residence can ever compare the behemoth built by Louis XIV, nor will I ever be as impressed by a place of worship as I was by St. Peter's Basilica. As both architectural feats and manifestations of wealth and power, they stand alone on an unparalleled level of opulence. Photos from that initial visit can be admired here in all their pixelated glory; the camera I was using in those days has less than half the megapixels of my current DSLR. And yes, the album contains a few self-portraits, but in my defense that was back when Myspace was still cool. What else was different the second time around? The weather, for one thing. In summer the gardens were in full bloom, and we enjoyed a nice boat ride on the Grand Canal - well, my mom and I did at least since my dad did all the rowing. In winter it was gray and drizzly, and many statues were covered up to protect them from the elements. 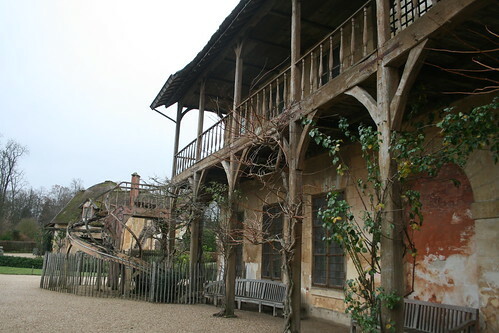 Since this most recent jaunt was a first for my brother and cousin, we opted for the full day-passes that granted access to the Grand and Petit Trianons (subsidiary structures intended for the King's court, family and friends), as well as Marie-Antoinette's estate. The mini-palaces were interesting enough to walk through, but the latter was more memorable. 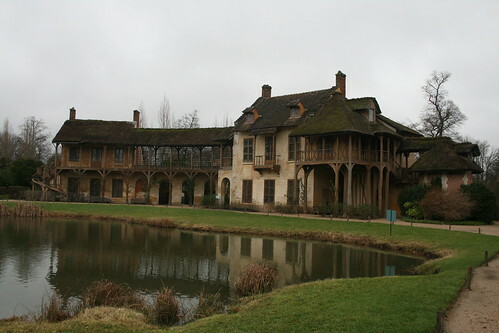 You see, when Marie-Antoinette lived there she had a private hamlet - essentially an entire village replete with functioning farm - constructed. It wouldn't surprise me if she had also kept a bunch of indentured peasants there to make it feel more realistic; just walking past the now defunct structures was like being dropped into a perverse Disneyland. No wonder the public wanted her head chopped off. *My former French tutor once complained about his American history course, which put me on the defensive because, let's be real, two hundred and thirty-odd years is nothing compared to the scope of covering an entire continent from the late Middle Ages to the present.